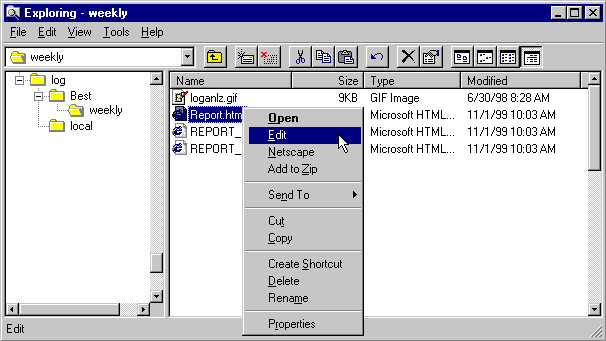 Typically, before uploading a HTML page, you will want to view it in both Netscape and Internet Explorer, and you may wish to make quick edits using, say, WordPad. 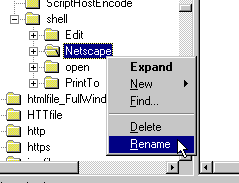 To make this easier for myself I have added a "Netscape" and an "Edit" option to the right-click menu for all HTML files, (IE is my default browser). 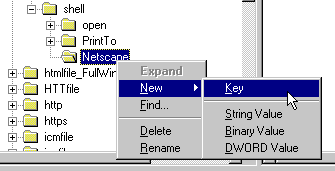 This means I can open HTML files in Internet Explorer, Netscape or WordPad with two clicks, instead of dragging files all over the desktop, or opening applications and doing a "File Open". 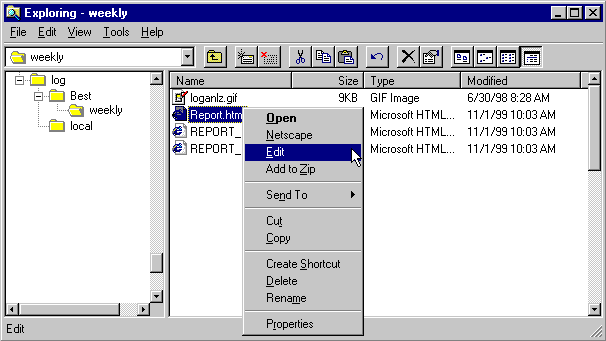 For GIFs and JPEGS, I have also added the Netscape option, and I've linked the "Edit" option to my favorite graphics editing program. If you want to avoid modifying the registry directly, many of the changes described here can also be made in Windows Explorer's "Folder Options" menu. 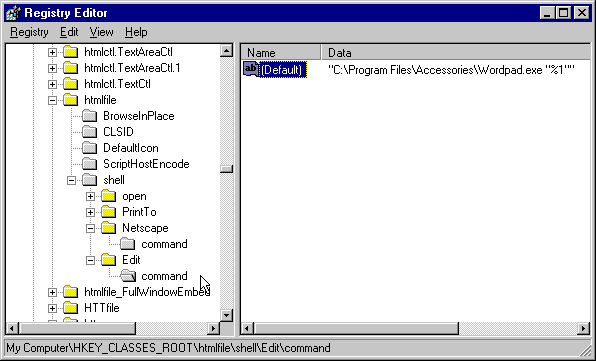 To use this approach, double click "My Computer", select the "Tools" menu, then "Folder Options", then the "File Types" tab. From here, you can highlight the file type you wish to change, then click the "Advanced" button to change the menu options that appear for the file type. This won't give you complete control of every option, but it is probably sufficient for most needs, and it is much less likely to cause problems as a result of accidental changes to the wrong registry keys. Before tackling how to add menu options, here are a few interesting or common questions I've received. Note: I stopped using Windows a few years ago, (I switched to Linux), so I'm afraid I no longer offer help with Windows Registry problems. Please accept this apology if I don't reply to Windows-related questions. "How do I remove unwanted options that appear on right-click menus after installing software?" 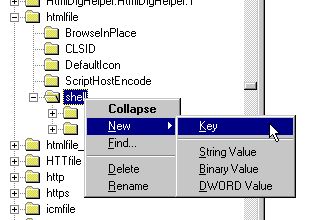 In the sample shown, deleting "gvim" will remove the right-click options for the GUI Vim program I installed. I'd recommend making a back up of the key data in case you want to put it back in later. 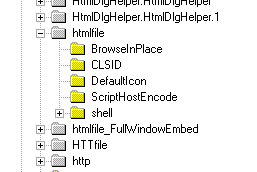 If you don't find the correct ContextMenuHandlers item under "*" you could try looking under specific file extensions. You could also try searching the registry for the text that appears on the menu. When searching, don't forget to preface any character that is underlined in the menu with an "&". The ampersand is typically used to identify the character to underline when a menu entry's text is saved in the registry. "Can I add a 'Search' option to Internet Explorer's right-click menu?" "Can I disable [insert menu option here] in Internet Explorer's right-click menu?" 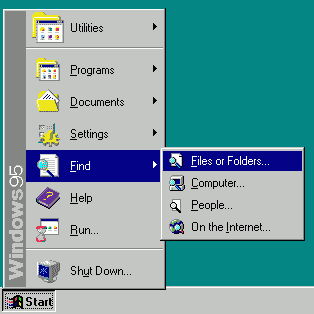 After removing the offending key, restart IE and the menu item should be gone. With regard to the default behavior of Internet Explorer, (i.e. the menu items that don't appear in MenuExt) there are a number of restrictions you can place on newer versions of the browser. You can't specifically disable a single menu item, (at least as far as I'm aware -- there may be some undocumented way around it), but you can make the menu go away completely. This might be useful for shared machines in a "public" environment, where changes made through the menu, (such as setting the computer's background from a web image), could be confusing to other users. You can also do this just for specific users if you wish. 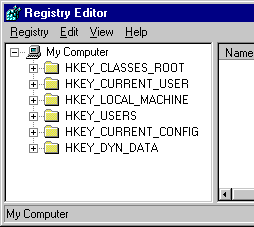 In this case, make the change under HKEY_CURRENT_USER. 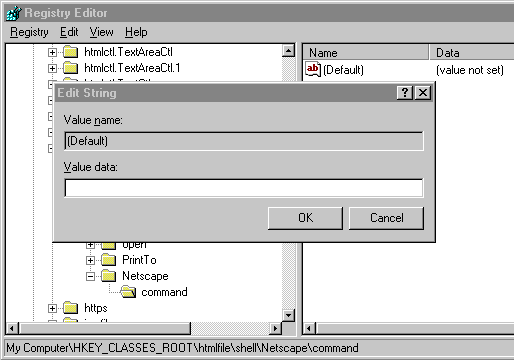 From the Start Menu select "Run"
Note: To find the extension group associated with a particular extension, click on the extension and note the value in the "Data" field, (on the right side), for the value named "(Default)"
To rename a menu option, right click on the key in the Registry Editor and select "Rename"